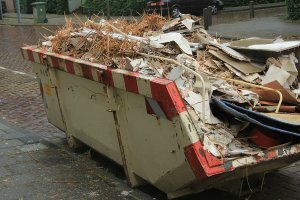 If you work in construction, your company is probably using a waste management service to remove the waste that accumulates during the remodeling, construction, and demolition of buildings. A waste management company in Atlanta can provide you with roll off dumpsters and junk removal services that will make your jobs much more efficient. Watch this video to see the demolition process in action at a building near the Kuala Lumpur city center. 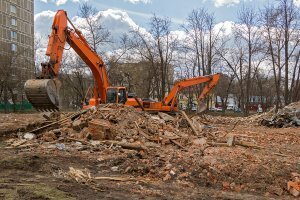 All of the waste that is generated by this demolition must be recycled or disposed of by a waste disposal company in a safe, eco-friendly manner. 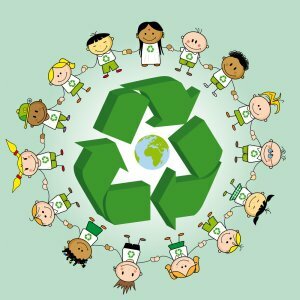 Your company can reduce and eliminate sources of waste by adopting more eco-friendly practices, such as recycling. If you use a waste management service near Atlanta for your trash removal and waste disposal, ask them if they use a recycling center as part of their trash service. 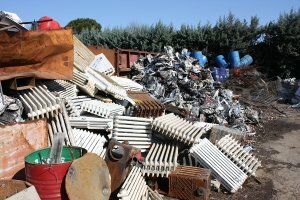 Deconstruction is a form of recycling in which solid waste, such as construction and building materials, are disassembled and reused or recycled for other purposes. Watch this video to learn more about deconstruction, and how it can make your company’s waste management practices more environmentally friendly. Industrial waste is waste that results from industrial activities, including unused manufacturing materials from factories, mills, and mines. Industrial waste can include chemicals, paints, metals, radioactive materials, and paper products. 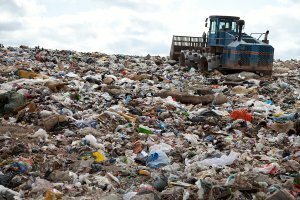 If your company produces industrial waste, you’ll need to employ the services of an industrial waste management company in Atlanta . 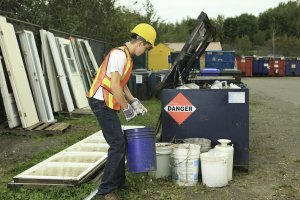 An industrial waste management company can help your company implement waste disposal and recycling procedures that will safely and effectively dispose of the trash and waste you generate. 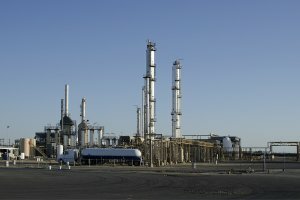 When dealing with industrial waste, it is particularly important to adopt policies and procedures that protect the environment and the community. An experienced waste management company can advise you on how to reduce your company’s waste, and recycle and reuse materials. This ensures that your company is as eco-friendly as possible, and can also save you money on waste disposal services. You can also ask for waste analytics, or data related to how much waste your company produces over a certain period of time. This can help you schedule your trash pickup, recycling pickup, and other waste disposal services more efficiently. At Southern Waste and Recycling, we pride ourselves on providing the most reliable and comprehensive recycling and waste management services in Atlanta . We don’t think of our company as merely a waste disposal company, however. We take the time to get to know our customers so that we can provide them with personal service that is tailored to their wants and needs. Because of that, our services continue to grow and evolve. In addition to our waste management services, we also are committed to helping our customers improve site logistics and implement sustainable principles when possible. We do this by providing analytical data and reporting, and adhering to very strict standards of service for each one of the jobs that we execute. Whether you’re in need of recycling services, junk removal, bulk waste removal, a dumpster rental, or industrial or commercial waste disposal, our experienced staff can help you out. We also offer equipment rental and equipment repair services for a variety of waste management equipment. The high standards that we follow ensure that we are providing the best customer service possible to each and every one of our clients. We have a 24-hour customer service hotline, and treat every call as a priority. No matter how complicated your request, question, or problem is, we guarantee that our talented team can handle it with a minimum of fuss and time. We also provide monitoring services for your waste volume to ensure that your waste management services are scheduled in a timely manner, as well as immediate container delivery and service to existing containers. Our company is proud to be an advocate for eco-friendly waste management and environmentally friendly business practices. We provide services to businesses in the community that help them reduce the costs of their waste removal, and reduce the amount of waste that they are producing. We can help your company adopt sustainability initiatives, such as recycling services, to make it easy to reduce your carbon footprint.